In attempt to provide you with the best customer experience and to help us continually grow please click the button below to leave us feedback. Any suggestion, comment, or concern is appreciated. 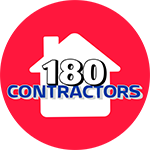 180 contracting was right on time, professional and honest. We would recommend them to friends and family. They do really good work, fast, accurate, on time with everything and good communication. I couldn’t have asked for a better contractor. Roof Replacement, White Lake, MI! Excellant. Kept me well informed on what and when things would be done, Answered all of my questions and assisted with insurance adjuster. Roof Replacement, Grand Blanc MI! Ken did great job of evaluating and communicating solutions to my roof leak problem. He was always available by phone, in person and on site to answer questions and let me know what was happening every step of the process. Ken the project manager came right on time. Evaluated the problem I had with a leak which was causing a wet ceiling on my second floor bedroom. He and his partner fixed the problem they found which was a gap in the aluminum trim and a window. He caulked the gap and also fixed loose aluminum facia trim. Prompt and quality service…. I will call them again if I need any roof or siding work in the future. Ken and his crew do quality work. Very pleased with the finished product and the timeliness with which they responded to me. They were good and fast. Curtious to us and informd us about all that they were doing. Ken is very professional in his approach. Any one considering them, hire them!!! Ken was very personable and accommodating. Enjoyed working with him. They did a great job, on time for the quote and finished the project early. Would highly recommend. They even carried my mom’s groceries in the house for her! Ken really went above and beyond to make sure that I was satisfied with his work. Really nice guy.